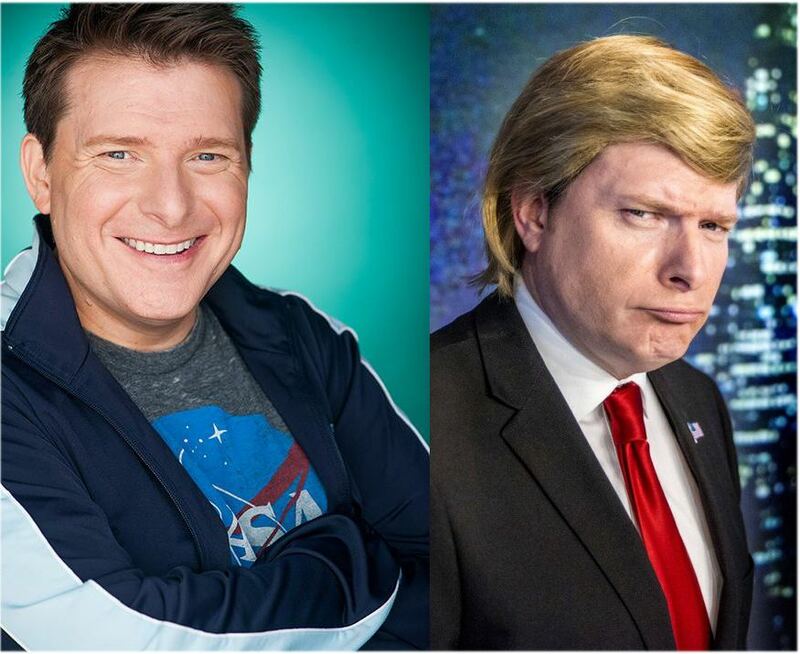 Comedian Phillip Wilburn, regarded as one of the top Donald Trump impersonators, will be hosting the #48FILM Festival Awards Show on Tuesday, February 9, 2016 at the Director’s Guild of America in Los Angeles. HOLLYWOOD, Calif. - Feb. 5, 2016 - PRLog -- The 48FILM Festival is proud to announce that comedian Phillip Wilburn, regarded as one of the top Donald Trump impersonators will be hosting the #48FILM Awards Show on Tuesday, February 9, 2016 at the Director’s Guild of America in Los Angeles. Winners of the global competition are flying into Hollywood from around the world to collect their awards and meet the esteemed jury of industry leaders and industry guests at the 2015 Award Ceremony and Screening. Films in Official Selection include entries from the USA, Canada, United Kingdom, Georgia, Spain and Italy. The #48FILM Festival producers will be awarding the collective of winners (Best in each category) with a production budget of $100,000+ to make a feature film in the calendar year. Shooting will commence this Fall, with locations to be announced later in the year. Raven Banner Distribution will be reviewing for International Distribution. Italy captured the top awards with CLARA (Brescia, Italy) taking home six including Best Film, Best Director for Marco Santi, Best Actress for Francesca Milano, Best Original Music by Stefano Milella and Best Production for Caterina Biffarino. While ESSE EST PERCIPI nabbed Best Cinematographer for Lucio Lepri and Best Writer Award for Andrea Piezzo and Lucio Lepri. USA’s SAFE won the People’s Choice Award. The 48FILM Festival online festival is open to everyone: beginner to professional, from all nations. The competition opens in January and closes late November. Once registered, a competing team selects a genre and when to start the clock. 48FILM Project provides three (3) elements that are required to be included: a character, a line and a prop. Filmmakers then have forty eight (48) hours to create a short film in English or with English subtitles, four (4) to seven (7) minutes in length and upload it to https://www.48filmproject.com. Creators retain the rights to their own intellectual property. For more on the 48Film Project, the winning films, the 2015 Jury, and Phillip Wilburn, please contact Popular Press Media Group, 48FILM@ppmg.info, or by phone +1-310-860-7774.